Signed and dated l.l. 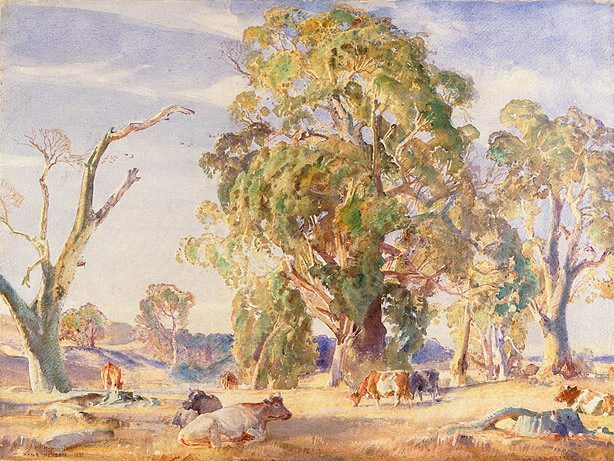 corner, brown watercolour "HANS HEYSEN 1933. ".